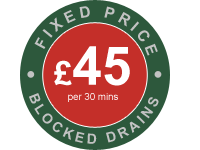 AlfaClear Drain have a team of fully trained tradesmen that can help and install anything from garage plumbing, annex or any other outbuildings. With years experience and knowledge you can be sure that you are in safe hands. All our local engineers vehicles are fully equipped with high pressure jetting, CCTV survey equipment, mechanical and electrical rotary machines.